Located very close to the Sri Padmanabha Swami Temple, Trivandrum, the Attukal Bhagavathy Temple is dedicated to Attukal Devi. The Goddess was created by Lord Vishnu, when he heeded the request of his ardent devotees, who sought protection from the demonic forces. Attukal Devi is worshipped as the creator as well as the destroyer of all living beings. Majority of the devotees of the temple are women. The principal deity of the Attukal Bhagavathy Temple is Attukal Devi or Attukal Bhagavathy. She is believed to be an incarnation of Goddess Parvathi and is represented as having four arms bearing a spear, a sword, a skull and a shield. The then high priest of Badrinath Temple had led the consecration ceremony of the deity. There are two idols of the Goddess in the sanctum sanctorum of the temple. Besides the deity of Attukal Bhagavathy, there are also idols of Goddess Kali, Lord Shiva and Lord Ganesha. Kannaki Amman or Kannagi is also ardently worshipped and is epitomized as the symbol of chastity. Golden lockets, with the prathishta image of Devi on one side and the Sudarshana Chakra on the other side is provided to the devotees as a Talisman. There are no official records to corroborate the history of the Attukal Bhagavathy Temple. However, as per legend the Attukal Bhagavathy Temple was used by Kannaki as a resting shelter, while travelling from Kanyakumari to Kodungalloor. Preceding the journey, Kannaki had destroyed Madurai in response to the unjust killing of her husband. Currently, the Attukal Bhagavathy Temple Trust is in-charge of the management and administrative affairs of the temple. The Trust is a registered body and also takes care of the renovation and reconstruction efforts of the temple. As per scriptural citing, Goddess Bhagavathy, disguised as a young girl, appeared before the head of the Mulluveetil family while he was performing his oblations in the Killi River. The girl requested him to help her cross the river. Mesmerized by the demeanor of the young girl, he not only helped her cross the river, but also took her to his house. She suddenly vanished, while the household members were busy welcoming her. Goddess Bhagavathy then reappeared in the dreams of the man and directed him to build a temple on a nearby marked land. The man constructed the temple as per the wishes of the Goddess and the idol of the Goddess was later installed by devotees. Also very popular is the legend associated with Kannaki. As per the legend, it is believed that Kannaki had sought rest in this very temple after destroying the city of Madurai, enraged by the unjust killing of her husband. 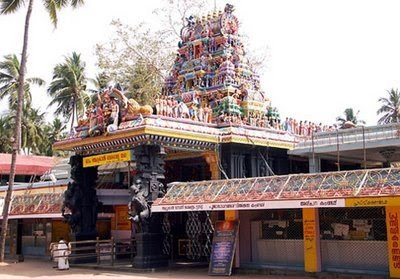 The Attukal Bhagavathy Temple is of immense cultural significance in that the Attukal Pongala festival, celebrated in the temple, attracts a huge number of devotees. The festival even holds a record in the Guinness Book of World Records as the ‘largest annual gathering of women’ in the world. Being a very popular shrine amongst the women, the Attukal Bhagavathy Temple is an epitome of women’s emancipation in the region. It is estimated that almost three million women attended the festival in 2010. The Attukal Bhagavathy Temple is an epitome of the fusion of the Kerala and Tamil styles of architecture. The carved figures of Goddess Kali, Mahishasuramardini, Rajarajeswari, Sree Parvathy along with Lord Paramasiva adorns the temple. In the corridors of the temple the story of Dasavathara, or the ten incarnations of Lord Vishnu is well presented. On the southern Gopura of the temple the puranic story of Dakshayaga is exquisitely depicted in sculptures. Pongala Mahotsavam: Celebrated on the auspicious day of the Pooram star coinciding with the full moon, the Pongala Mahotsavam is celebrated for ten days in the Malayalam months of Makaram-Kumbham i.e. the months of February-March. The festivities are initiated by musically rendering the story of Goddess Kannaki Charitam during the Kappukettu ceremony. The story begins by invoking the presence of Kodungallur Bhagavathy and the slaying of the Pandya King. The slaying of the Pandya King symbolizes the victory of good over evil and is celebrated with great pomp and fervor by the devotees. Kuthiyottam and Thalappoli are also performed on this occasion. Thalappoli is performed by girls in the early morning, where colorfully attired girls holding Thalappoli are blessed by the almighty Goddess with health, happiness and beauty. Kuthiyottam is performed by boys aged less than thirteen years by representing the wounded soldiers of Mahishasura Mardini. These boys receive the prasadams from the temple priests and embark upon a rigorous seven day penance to purify their mind and body. The performance of penance involves physical and mental discipline, sleeping on floor, strict diet, prostrating 1008 times before the deity and staying within the temple premises. Thereafter, long processions of colorful float-bearing devotees throng the temple. The procession starts from the Attukal Bhagavathy Temple and reaches the Sastha Temple at Manacaud and then the entourage returns following the same path. Gun shots accompany the massive procession of Attukal Bhagavathy, riding upon caparisoned elephants while displaying the Alavattom and Venchamaram. Soon after the deity of Attukal Bhagavathy is received back, the Deeparadhana is performed and after its performance, the boys performing Kuthiyottam are relieved from their penance. Besides the Pongala Mahotsavam, the other major festivals of the Attukal Bhagavathy Temple are Mandala Vratham (related to the annual Utsavam of Sabarimala), Vinayaka Chathurthi (dedicated to Lord Ganapathy), Pooja Vaypu (dedicated to Goddess Saraswathi and Vidyarambham), Shivarathri, Karthika (Karthika Deepam), Ayilya Pooja, Aiswarya Pooja, Nirayum Puthariyum and Akhandanama Japam. Temple timings – The temple is opened daily from 4.30 am to 8.30 pm.